January. I don't know what to make of it. I'm doing a dry one.....it's been a sobering experience in many ways. Good ways. There haven't been any squiffy shopping moments made at the altar that is thy laptop. There hasn't been a lot of panic sales purchasing.....I swerved the FOMO and thankfully no mistakes have been made yet. I stuck with my sale strategy and purchased 2 new pairs of Levi's 501 CT's in blue and black, along with some box fresh Adidas Original Stan Smith's (I went with green trim this time) and lest not forget the wild card.... Miss KG Senta metallic boots.....all items easing me perfectly into Spring (whenever that may appear!). I made one new season full price purchase......I urged you here to grab this Topshop shackett while you can.....naturally I made one mine! I sat on my laurels then. I didn't go near any shops or doing any online shopping for 2 weeks. As you do. You see, I felt a bit 'stuffocated'. I was suffering from having too much stuff. The cure was an almighty clear-out. I spent time getting my house in order. Now I can see the wood for the trees again. As I've had some time to ponder, I'm now ready to put together my Spring plan of action. It's nothing ground-breaking. In truth I need nothing.....but I'm craving a few pieces that will breathe a bit of life into my wardrobe......giving some of my favourite things a lift. This is where the 'well I never' comes in. Having completely let this trend pass me by a couple of years back I've now fallen head over heels for.......dungarees! I've seen lots of my favourite bloggers sporting them but this time I am going to have to point the inspiration finger at the lovely oneoutonein on Instagram. Nikki has a way of making dungarees look like a wardrobe classic.....and so now I'm sold on them. I never expected to like them on me but I have fallen for them big time! They totally suit my very casual lifestyle and I look forward to stylin' them! I am already dreaming up lots of tops and shoe combo's with them. Leading me nicely into another purchase.....M&S leopard print Mary Jane's. 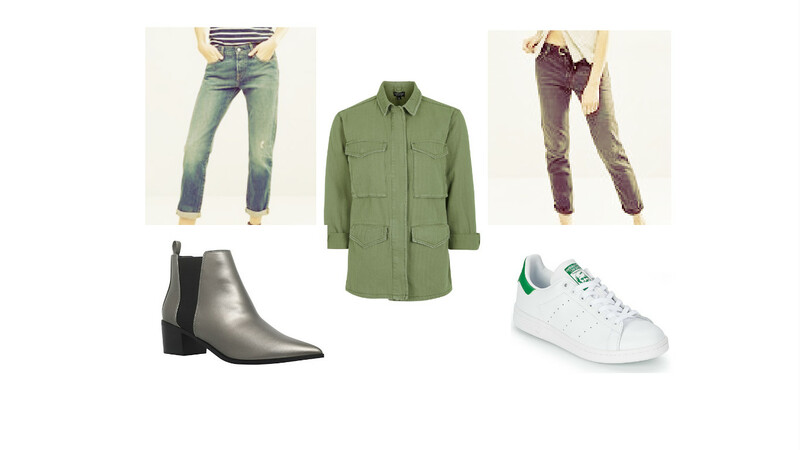 You can probably see the Topshop red Mary Jane's over in my sidebar. They've been taunting me for a couple of weeks now. However, I have not caved. As beautiful as they are just not particularly conducive to my lifestyle. The are a bit too on the dressy side for me. Never fear though as I think the M&S ones are a perfect alternative....leopard print is a neutral dontcha know! ;0) Any they were a savvy sale purchase at £10.99. None left online but plenty instore! Miss KG Senta boots, here now down to £39! 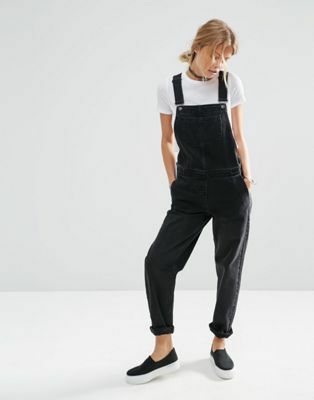 Do you think I have completely lost my marbles with the purchase of the dungarees or do you view them as a modern wardrobe staple these days? What's on your Spring shopping wardrobe reviving wish list? I would love to hear! Back again soon.....one mojo refreshed and on a Spring roll! Give them a go Vicky! I was so surprised as not only do they look better on me than I imagined but they also go with so many things in my wardrobe! It's funny isn't it, you've gone for knitwear but I haven't bought a single top. Mind you, that's where the dungaree's will be breathing a bit of new life into my wardrobe. I may well join you on the frill blouse front though....a trend I've only dipped my toe in but it looks as though it is here to stay. I am definitely trying to pare back my wardrobe, there is no chance of my ever having a capsule wardrobe but I still like to try and stick to the one out, one in approach when making new purchases. Sadly the FC jacket was a real disappointment, the fit was nice but the material v.odd and v stiff! I also ordered a pair of v lightweight black utility / cargo trews made from tencel so feel like silk. They are great and I'm happy to end my sales purchases there and look to the new season. I suspect the best I will manage is a one in one out policy. I cleared out a few things today in that spirit! Look forward to following your new season buys. Oh no! Dont you hate it when that happens....all not lost though as the trews sound lush!